Europe’s best hotel is a glamorous Italian resort with a spa that makes you feel like you’re under a starry night ‘sky.’ Here’s what it’s like to stay there. 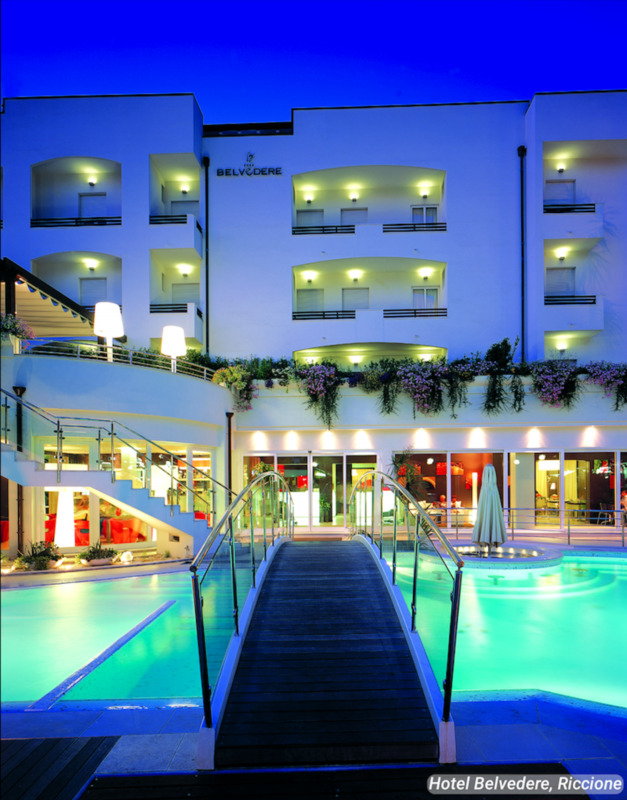 In its annual Travelers’ Choice awards – which celebrates the world’s best hotels and resorts, among other areas of travel – TripAdvisor named the Belvedere hotel in Riccione Italy as the top Travelers’ Choice hotel in Europe. Speaking to INSIDER, a representative for the Belvedere said that the Italian phrase “Dolce Vita,” which translates to “The Good Life,” has become the hotel’s motto. While the entire resort speaks to the “good life” motto, its luxurious atmosphere is especially present at the hotel’s pool. Also called “the heart of Belvedere,” the picturesque pool is lined with blue mosaic tiles and is surrounded by tall plants. 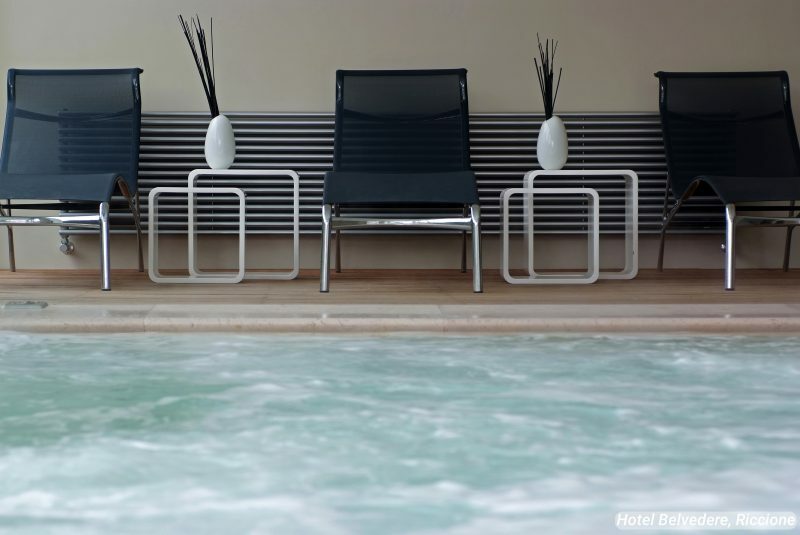 Guests who go for a swim can choose to either relax in the freshwater section, or hop into its designated jacuzzi areas. There’s a distinct bridge that crosses over the pool. But the pool isn’t just for swimming. 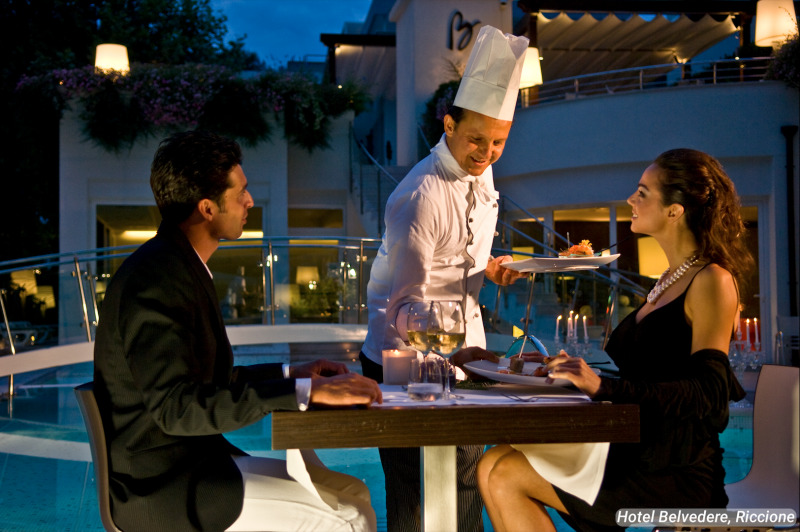 It’s also a place where you can sit back and indulge the hotel’s Mediterranean cuisine. Tables are lined next to the pool in place of lounge chairs, creating a unique dining experience for travelers. 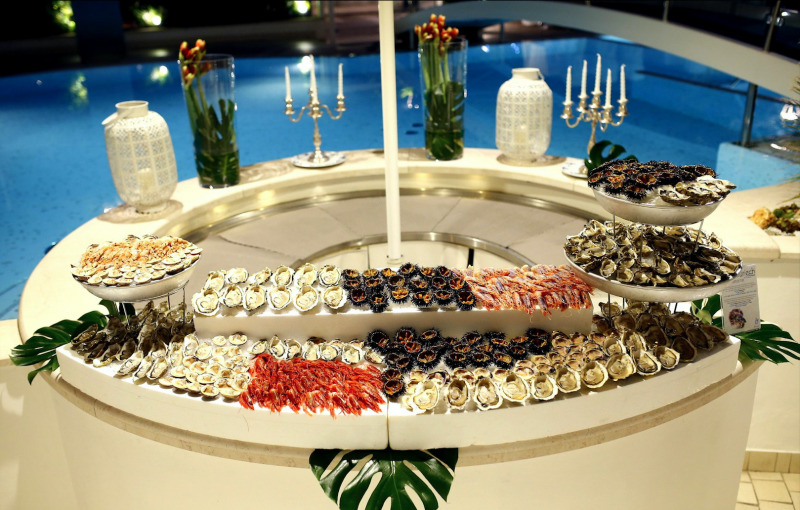 Visitors who don’t sit for a formal dinner can choose to snack at the hotel’s buffets. 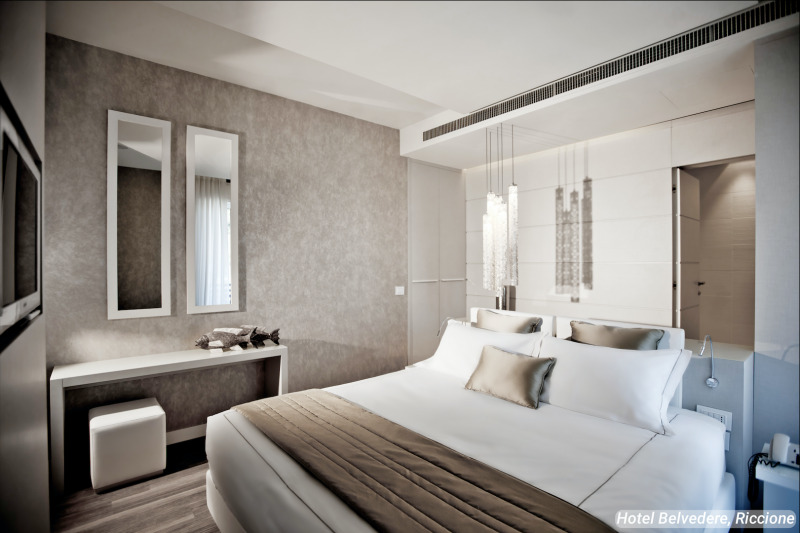 The rooms were designed using cool-toned colors to create “skillful and pleasant visual contrasts,” according to the hotel’s website. 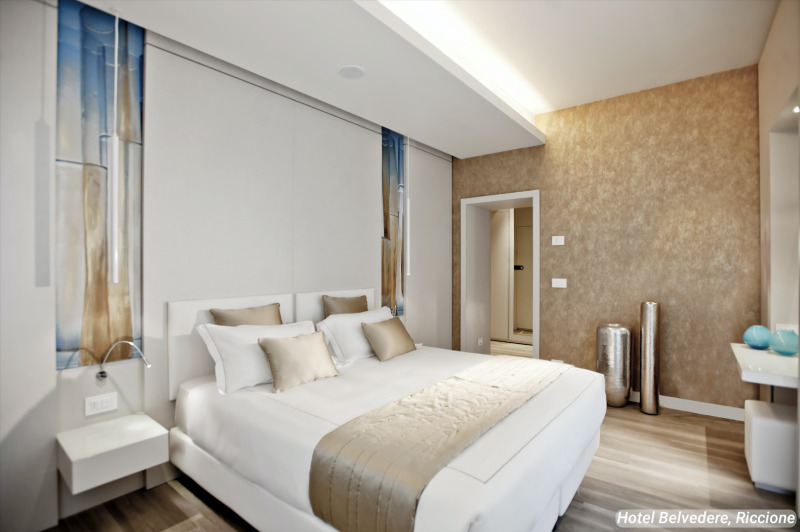 “Glamour Junior Suites” also incorporate “extra space, digital technology and prestigious linen” into each room. A representative for the Belvedere told INSIDER that each “Glamour Room” is equipped with a TV, DVD player, mini bar, hairdryer, air conditioning, and Wi-Fi. Read more: A hotel covered in lush green plants and trees is Asia’s best hotel of 2019. Here’s what it’s like to stay there. At the center of the hotel’s wellness mission is the Belvedere’s in-house spa, which focuses on relaxation and rejuvenation through 10 different treatment options. One package offered at the spa is the “Turkish Bath and 5 Senses Relaxation Room.” While there, visitors lounge on benches while a Himalayan salt-rock crystal is dissolved by warm vapor. Afterwards, travelers can relax in the “5 Senses Relaxation Room,” where they’re encouraged to lounge on soft chairs and walk on textured materials. A “bio-sauna” is also available for visitors to relax in. Unlike traditional saunas, the one at the Belvedere doesn’t utilize hot steam. 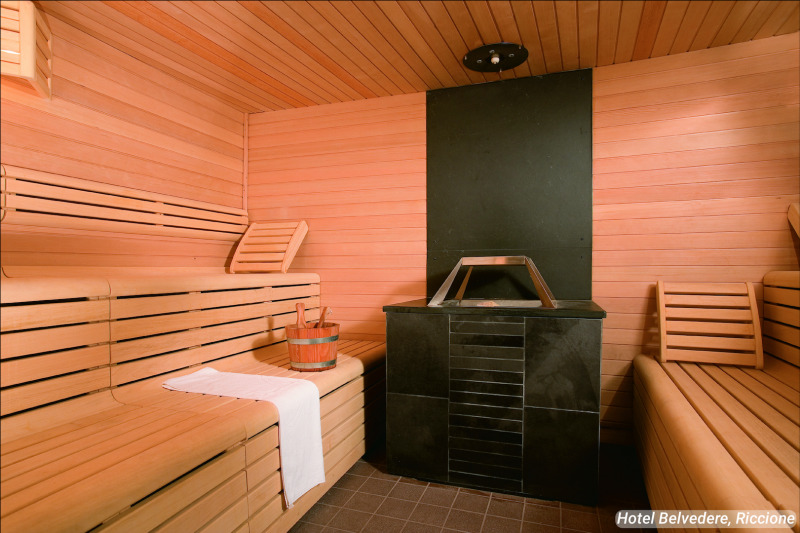 Instead, the bio-sauna first expels hot water, then cold water, and eventually scented mist. In terms of the actual jacuzzi, the bath’s water is set to remain at 100 degrees, and is infused with various salts and minerals. 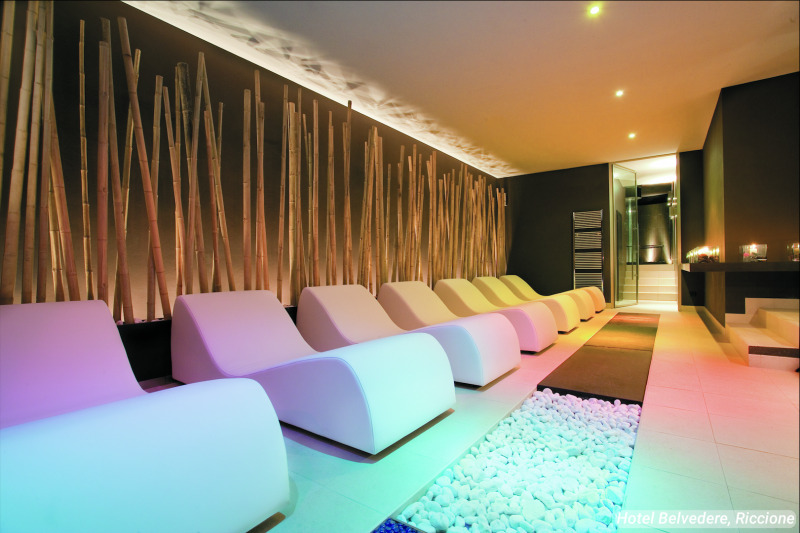 The “Kneipp Pool & Dead Sea Salt Bath” are arguably two of the hotel’s most stunning features. As spa visitors walk on soft pebbles throughout the “Kneipp Pool,” the water alternates between hot and cold temperatures, light and dark colors, and sweet and salted scents. 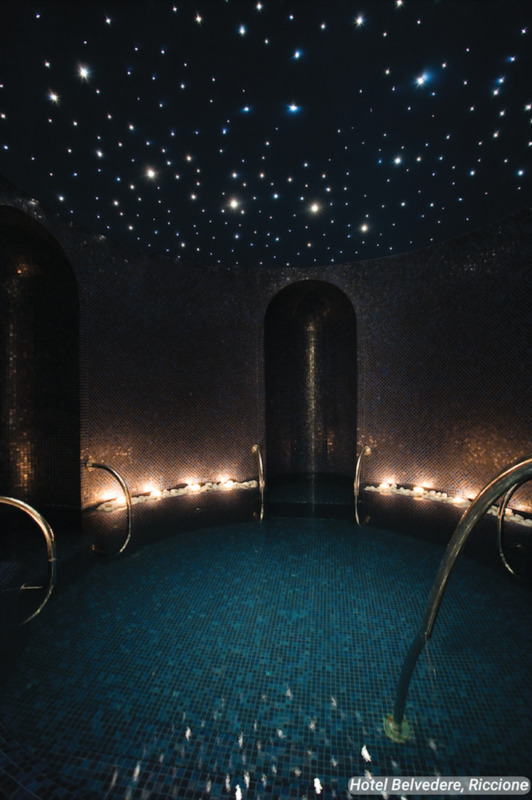 The adjacent “Dead Sea Salt Bath” allows guests to relax under a ceiling which imitates a star-studded night sky. Like the “Salt Jacuzzi Bath,” its water remains at 100 degrees and is infused with minerals to relax muscles. 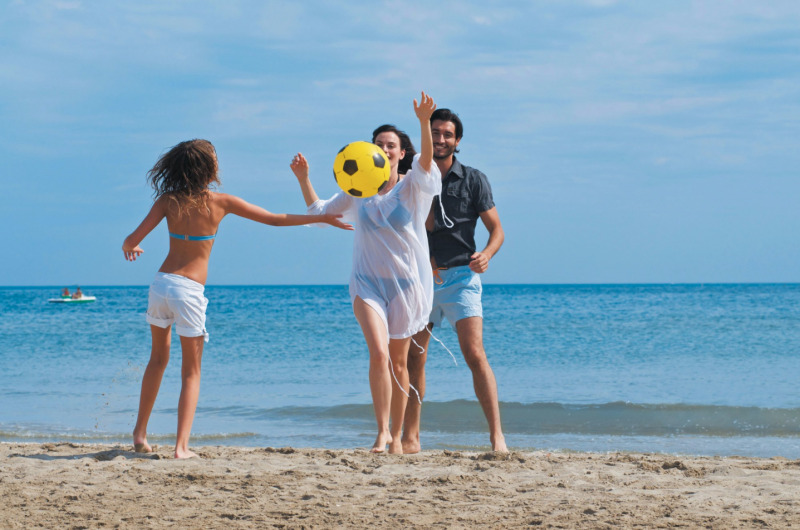 Of course, visitors can lounge on the beach throughout the day, but its the Belvedere’s evening beach parties that are really worth the trip.